Do you want to see how big Istanbul really is? 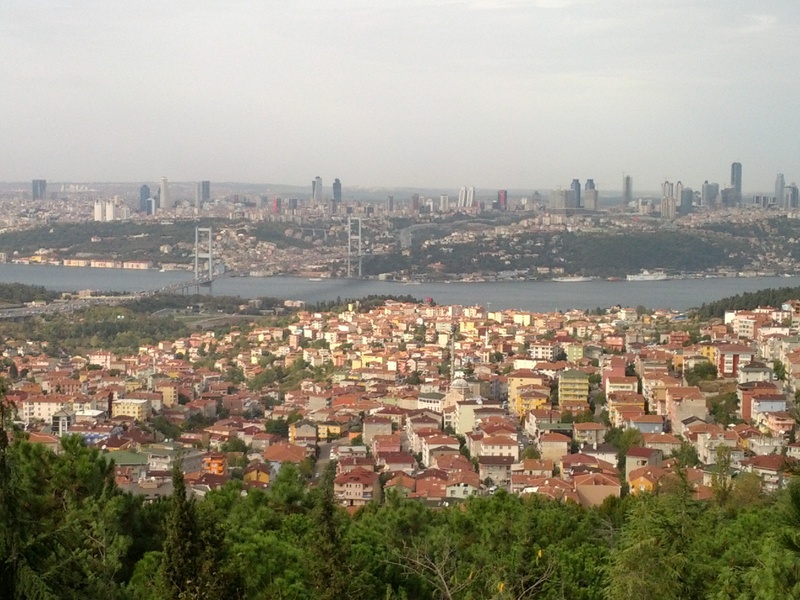 From Camlica Hill (Çamlıca Tepesi) in Üsküdar you will be given the opportunity to have a good look at the Bosphorus bridge as well as Fatih Sultan Memhet Bridge. The viewpoint is especially great since it is the highest point in Istanbul, with an altitude of 288 meters (945 ft.) above sea level. Çamlıca Tepesi is the biggest hill of the seven hills of Istanbul. It is separated into 2 areas: Big Çamlıca Tepesi and Little Çamlıca Tepesi. During the Ottoman Empire, the hill was used by sultans as a recreation or picnic area. Camlica Hill (Çamlıca Tepesi) is located in Üsküdar which is on the Anatolian side. The best way to get there is by car. So you could either go with your own or rent a car for a day. You could take public transportation like the metrobus but we would highly discourage you. Even from the European side, like Taksim, a cab would costs you around 50 TL. So if you are with a couple of people, do not take the metrobus but just go with a cab. There is no entrance fee and if you go by car, the fee for the car park is only 5 TL. There is simple restaurant on top of the hill. If you like Turkish coffee, it is worth drinking a cup of coffee at Camlica Hill Istanbul (Çamlıca Tepesi) while watching over Istanbul. You can also sit outside since there are also picnic facilities like tables and chairs on the hill which a lot of local families are making use of. 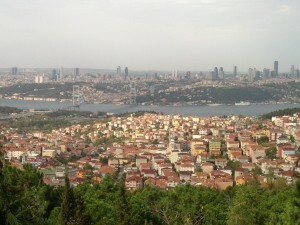 Overal, if you have a couple of hours I would highly recommend to go to Çamlıca Tepesi and have great views on Istanbul.